About Greenberg & Strelitz, P.A. Greenberg & Strelitz, P.A. was founded on the principles of providing its clients first rate, creative, and result-oriented legal representation in a small firm setting. Our attorneys have over 50 years combined legal experience and strive to achieve results that exceed our clients’ expectations. 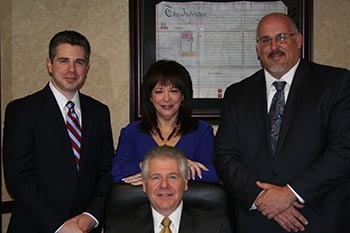 Our firm provides our clients with the comfort of knowing that the attorneys and staff at Greenberg & Strelitz, P.A. take a genuine interest in their needs and goals, and that our entire staff is accessible, efficient, responsive, and technologically sophisticated. Most of our attorneys are AV Preeminent ® Peer Review Rated by Martindale-Hubbell® (representing the highest designation for quality and ethics awarded by Martindale-Hubbell®).The attorneys at Greenberg & Strelitz, P.A. bring a wide range of experience to the practice, enabling the firm to promptly respond to our clients’ needs. Our office is located in Boca Raton, Florida, and readily accessible from both Interstate 95 and the Florida Turnpike.